How to Make Rajma Curry - A very popular North Indian dish that is power packed with protein rich Red Kidney Beans Curry. Rajma Curry is generally served with piping hot steamed rice or with any Indian flatbread, this surely makes a comforting meal. Ask any Punjabi and he or she is bound to brag about "Ma Ke Haath Ka Bana" finger licking Rajma Curry. 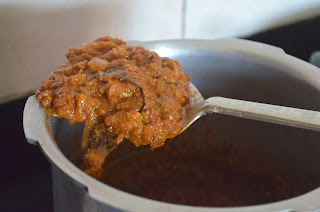 The recipe that I am going to share today is going to help you achieve the restaurant style thick Rajma Curry. 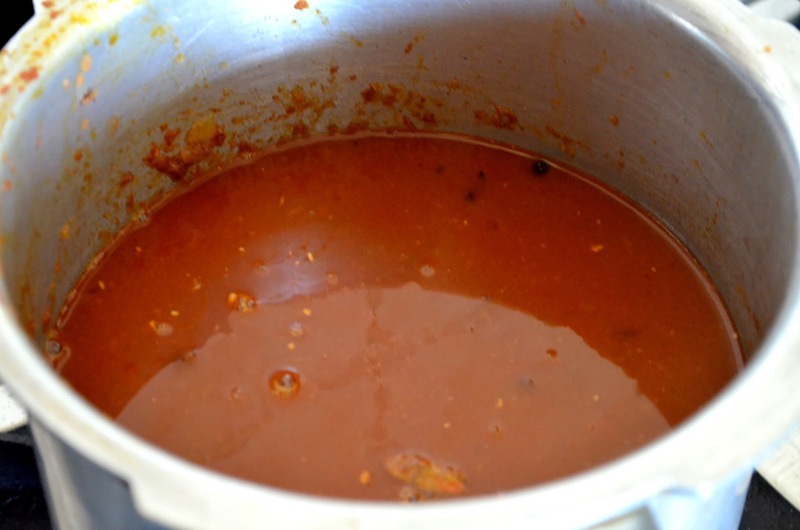 The key is to soak the rajma overnight and next day cook it in either a pressure cooker or go for slow cooking. 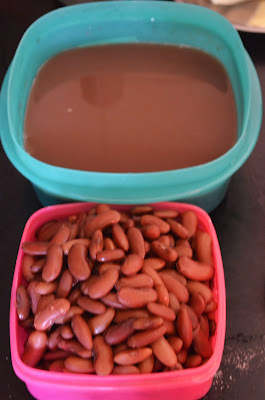 Once the rajma beans are just done (check by pressing a bean) turn off the gas and add 2-3 tbsp milk and stir well. 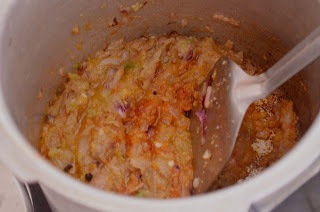 This step makes the gravy thick and tasty. Do check out Kala Chana Curry Recipe ,Chole if you are looking for other Punjabi dishes in my space. Heat oil in a pan, add bay leaf and jeera. Once jeera starts to splutter, add chopped onions and fry till its pink. Add ginger-garlic paste and green chilies, keep stirring till it leaves oil. Now add tomato paste, turmeric powder, red chilly powder, coriander powder, salt and stir fry till it leaves oil. Add the rajma into the pan and mix well (on simmer) with the cooked masala. Add the stock to make a thick gravy. Boil the gravy on low flame for the desired consistency. Add garam masala powder, dry mango powder and cream. Cook further for 15 minutes and the Rajma is ready. Add ghee and serve hot with steamed rice or chapatis. Enjoy ! 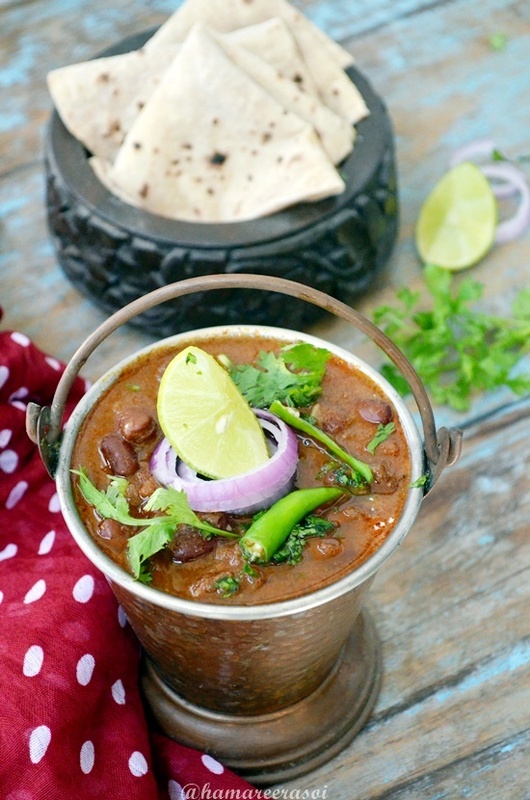 delicious and yummy rajma curry. Rajma curry what a coincidence I cooked this today too.Your rajma look delicious , nice rich gravy.I dont add garam masala to mine. delicious Rajma curry...Looks superb yaar...feel to taste it rite now...! Looks very yum,would love to have this with rice..
looks yummy and delicious...like to have with roti..
Rajma curry looks very inviting. Superb! 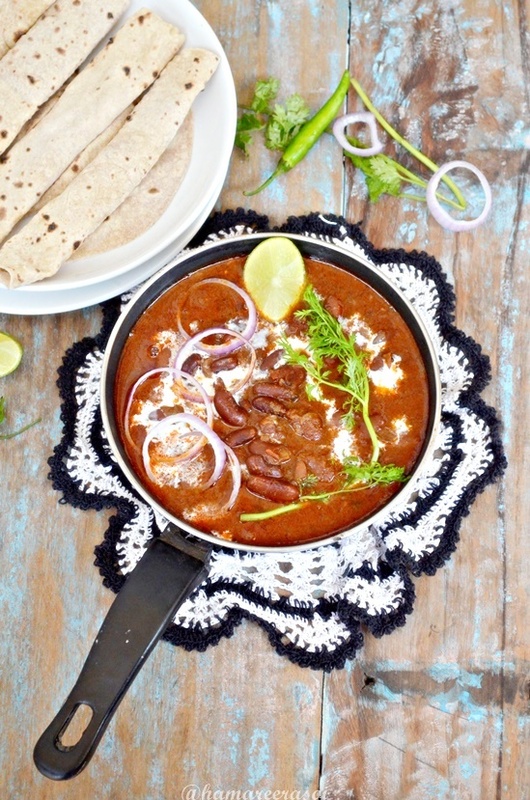 Protein packed rajma curry looks fantabulous..
this curry looks so delicious!! fantastic!! I love adding beans in curries. Yours looks fantastic! an all time fave in our home. Looks delicious. I have never used amchur in my rajma. looks so delicious..perfect with rice or roti..yummy!!! Love Rajma..:-)) yours looks superb! you know Bollywood star Vinod Khanna's fav. dish is Rajma! when he came years ago here in london, he was on the radio and I asked him..oh ya I'm not affraid to ask people anything..lol..and my Bangla lessons well lets see..ki bolcho?.. ;-) is that right..please tell me.. I love rajma too...nice color you got.. This is one of our favorite curries! If I want to have dinner to be stimulating, I'd have this rajma curry! mmm my favorite rajma curry and should be served with some rice...delectable..
Wow, Rajma chawal is a favorite in our house..Its like comfort food to us..Love the preparation..Looks inviting. nice rajma dal recipe. You got a nice texture and it looks really super tempting!